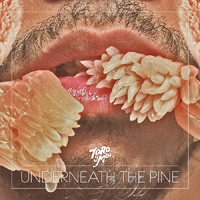 If the chillwave movement that ushered him into online notoriety navel-gazed upon the ’80s — Teenage Mutant Ninja Turtles, kindergarten, yoga cassette tapes — Toro Y Moi’s Chaz Bundick takes one step further into the wayback machine on Underneath the Pine. The beat auteur’s sophomore album dabbles in both synth-funk that would make Kool and the Gang proud (“New Beat”) and the frayed one man-harmonies and keyboard stabs of “Hello, It’s Me”-era Todd Rundgren (“Got Blinded,” “How I Know,” his most pop effort yet). He coaxes ’70s warmth out of his arrangements even as he positions them with digital finesse, a vivid triumph of modern production. Overall, it’s an album that bristles with ambition and desire, with feet firmly placed in two equally rewarding eras; as the genre’s inventor might ask, has Bundick “transcended” chillwave? Hasn’t he always?